May is a great month, wouldn’t you agree? The weather is warmer, the sun is shining, the kids are finally out of school (at least here in Georgia – yikes), but most importantly- MEMORIAL DAY! Now you can finally wipe the dust off that grill to try out this new festive recipe at your next gathering. 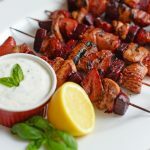 These chicken, strawberry, and beet kabobs with creamy basil sauce are perfect for any party appetizer or main dish. Yep, we thought the same exact thing, too! But we can assure you the outcome of putting these ingredients together is mind blowing! 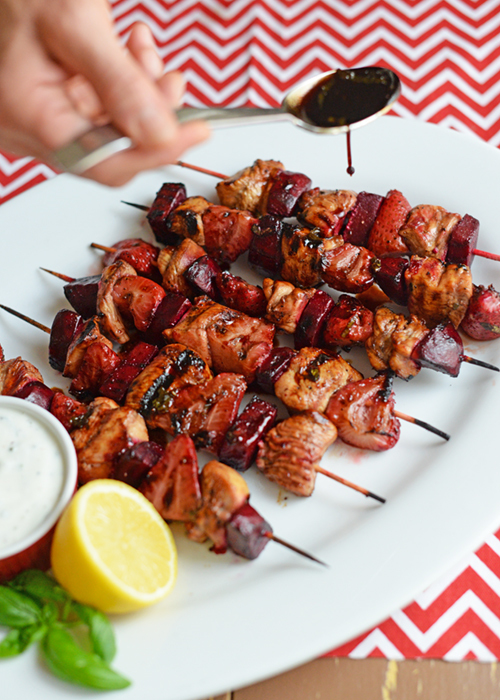 From the sweetness of the strawberries to the juicy smoky flavor of the chicken, the tenderness of the roasted beets and the tangy aromatic taste of the creamy basil sauce, your friends and family will be wowed this Memorial Day or at your next party. Our recipe is a healthier, creative, and tasty twist on the typical barbecue dishes served on Memorial Day. These kabobs will give you the boost of energy you need without making you feel overly full and sluggish. 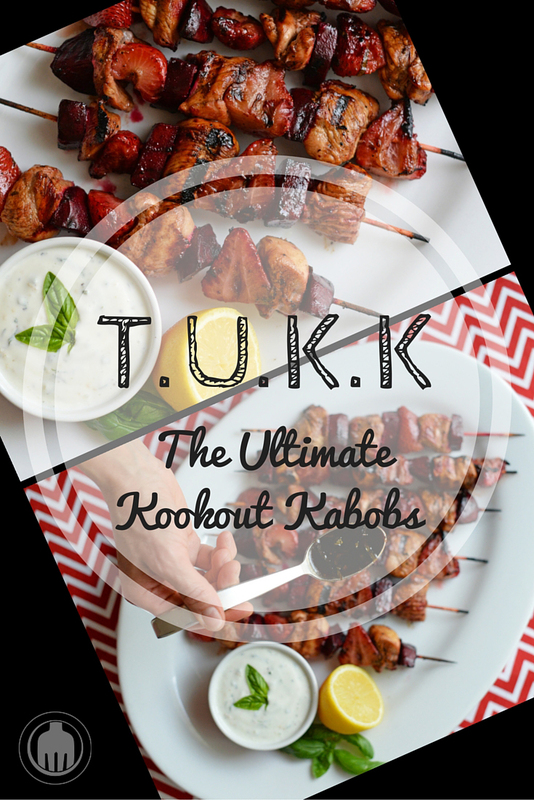 Before we tell you the cool benefits of these kabobs, first soak your skewers; we don’t want your grill to end up like ours… ON FIRE! But that’s a different story for a different post! We talked about the flavor but let’s take a moment to talk about these health bombs! Beets **side-eye emoji** are amazing but just make sure you wear gloves, because it can get a little CSI: Las Vegas in the kitchen (if you know what I mean). These pigmented vegetables are high in vitamin C, fiber, potassium and manganese, which are beneficial for improving the function of your immune system. But, let’s not leave out basil in the Creamy Basil Sauce. Basil may be small but has many nutrients such as vitamin K, iron, calcium, vitamin A in addition to antioxidants and phytochemicals which are great for your cardiovascular health. 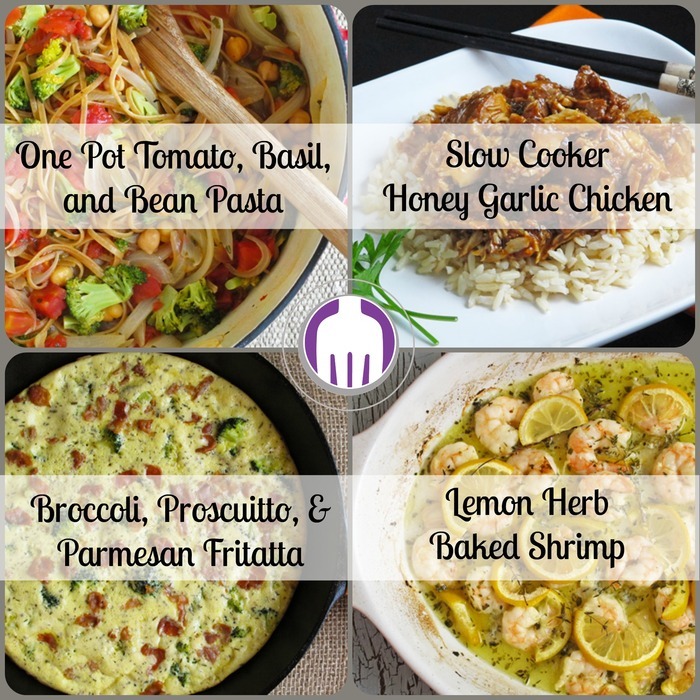 Whether you make this as a side dish or main, you are going to be the premier chef for your Memorial Day cookout! Soak the skewers in cold water for 30 minutes. Mix the balsamic vinegar, olive oil, soy sauce, light brown sugar, basil, ground black pepper in a bowl. Remove 1/3 cup and set aside for the glaze. Divide the remaining marinade in half among two bowls. Add the chicken to one bowl and toss well. Add the beets and strawberries to the other and toss well. Put both in refrigerator for 1 hour. Heat a saucepan to medium to low heat. Add the reserved marinade to the saucepan and let it reduce for 5 to 7 minutes or until the glaze can coat the back of a spoon. Remove from the stove and allow to cool. Heat the grill to 375 degrees and lightly oil the grate. Thread the chicken, strawberries and beets onto each skewer, repeating until all have been used. 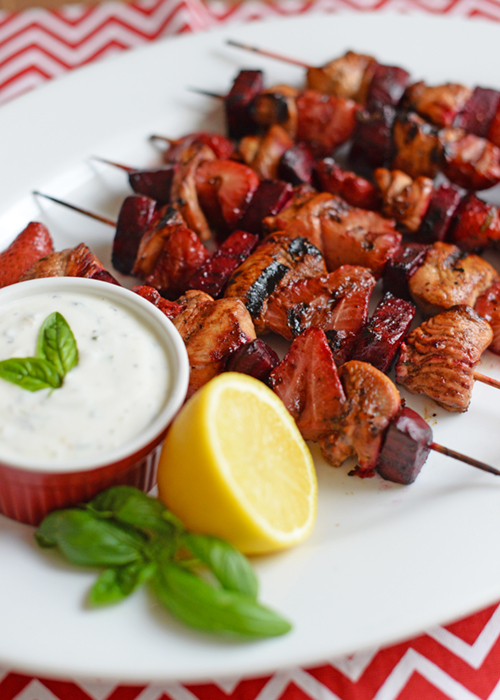 Place kabobs on the heated grill and grill for 10 to 15 minutes or until chicken juices run clear. 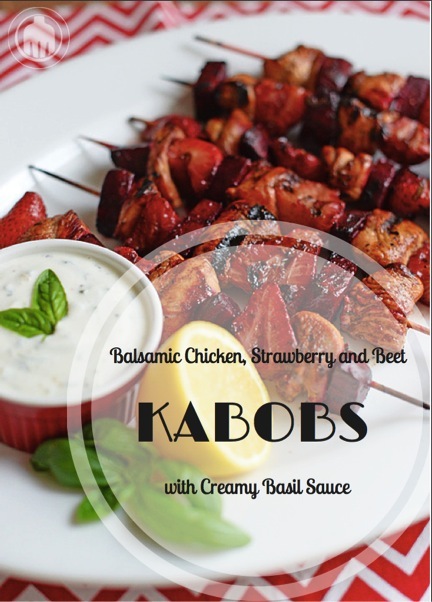 Baste the kabobs with the glaze every 3 minutes while they are cooking and turn to cook evenly. To make the sauce, mix together the yogurt, basil leaves, garlic, and lemon in a small bowl. Season to taste with salt and pepper. Serve with the kabobs. Chef's Note: The beets may still have a crunch to them which we like. But if you want to partially roast them first before grilling you could do that as well, or purchase pre-cooked beets to use in the recipe. This post was co-written with Brea Green, a dietetic intern from Southern Regional Medical Center and graduate from Georgia State University. Brea has a hunger for food and believes strongly in nutrition being a healthy lifestyle change vs. a restrictive diet (partially because it has the word DIE in it!). She loves to explore and “stir up” creative dishes and recipes in the kitchen for family gatherings, parties but most importantly her dog! Photography by Luisa Hammett, a dietetic intern from Southern Regional Medical Center and author of Peaches to Pearls Blog. Luisa has a passion for food and is a firm believer in indulging in moderation. 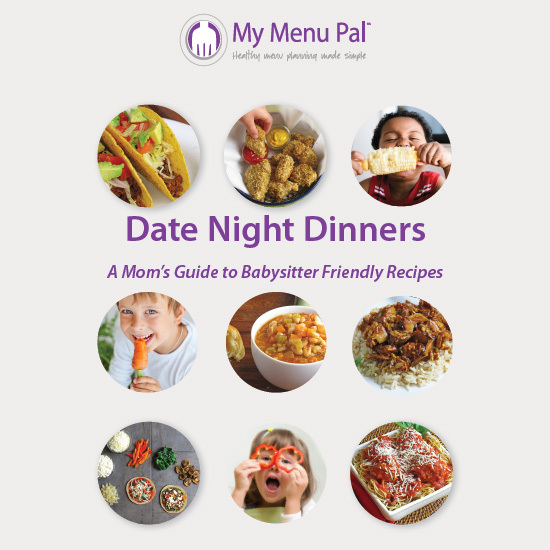 She loves being in a kitchen and creating fun recipes to share with her friends and family.